Manipur is the gateway to Southeast Asia under the flagship program of India’s “Look East Policy (LEP)”, which is a synonym of “Nongpok Thong Hangba” in Manipuri, has many challenges to meet in the near future. A systematic analysis of the present scenarios of Manipur may deter investor/s from investing in the State. However, entrepreneurial tendency of the young people of Manipur had immensely contributed, despite all the hurdles they faced towards their goals. Recently, the Government of Manipur (GoM) adopted the principle of Public-Private-Partnership (PPP) model, which is a boon to the State and in-terms of its success. Sticking to this model, the GoM started encouraging the youths for smooth operations of the LEP, within and outside Manipur. We understand that the opportunities from LEP are immense and the impacts on the socio-economy of the State in the long run will be positive. The positivity of LEP on Manipur’s economy will out weight the negative impacts, if certain policies or programs are taken up by the GoM. Manipur is an agrarian based economy; therefore, the emphases are mainly on agriculturally driven industries. The examples of Japan, Singapore and Thailand will not be appropriate in case of Manipur, because those countries are either island nations or surrounded by seas. Manipur is a landlocked State; therefore, it will be relevant to take examples of Sikkim, Himachal Pradesh, Switzerland, etc. One best example can be Sikkim for becoming the first Indian state to frame an ecotourism policy with the help of Japanese and American experts. The global travel guide Lonely Planet named Sikkim as the “best region to visit in 2014”. 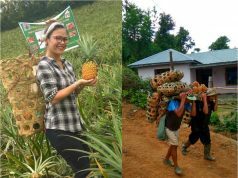 The article aimed to provide some insights to the entrepreneurs, Non-Governmental Organizations (NGOs), government agencies and individuals, while attempting to make LEP successful in Manipur. Presently, various agro-industrials based projects and industries are taken up by different private and public organizations in Manipur. It will not be pertinent to stress further on the existing projects and programs; however, supplementary programs within the sectors are recommended in this article. The following prospects are some of the thrust areas, which are easily achievable in Manipur. Ecotourism, floriculture and agro-forestry based tourism are some of the promising industries, which are in nascent status in Manipur. Orchids and other flowers’ cultivations in Manipur are believed to generate uninterrupted incomes not only from the cut flowers and its products but also from tourism and its allied businesses. Climate of Manipur is suitable for around the year agro-forestry farming. Sandalwood plantations in Manipur along with mangoes are promising. Combinations of sericulture, apiculture, pisciculture, and poultry along with horticultural practices in many countries across the world are found to be fruitful. Many entrepreneurs of Manipur have also started developing similar types of projects; however, due to lack of funds, many of them abandoned their efforts. In this scenario, the GoM is expected to support the individuals for developing various types of environmentally friendly industries and projects in the State. Bamboos are the natural tropical plants found abundantly in Manipur, particularly Churachandpur district. One interesting new product that can be developed from bamboo in Manipur is the “low cost sanitary napkins and baby diapers”, using bamboo and kabokang (Eichhornia crassipes) pulps. As of now, the prices of sanitary napkins or baby diapers cost more than Rs. 10 in the market. However, the new bamboo and kabokang based products will cost no more than Rs. 5 in the retail market. 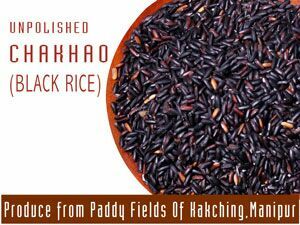 As the raw materials are found plentiful in Manipur, the prices of the products can be further reduced. Sanitary napkins and baby diapers are some of the essential items required by the family to keep good hygiene. The Department of Commerce and Industries, Govt. of Manipur (DCI-Manipur) gave emphasis on bamboo processing industries. Manipur is blessed with abundant water resources, be it lakes, rivers, ponds or streams. The State experienced about eight (8) months of rainfalls in a year. The State has more than 220 species of freshwater fishes. 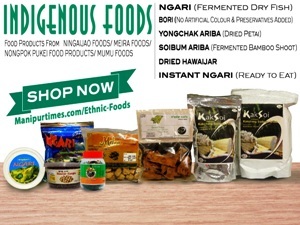 Some of the indigenous fish varieties such as Ngaton and Pengba are sold at higher prices i.e. more than Rs 500 per kilogram. Consumption of fishes in Manipur is very high, which amount to about 65,000 metric tonnes annually. The total production of fishes in the State comes to around 25,000 metric tonnes per year and the deficits of about 40,000 metric tonnes annually. The annual expenditures due to imports of fishes in the State are estimated to be around Rs. 400 Crores. Therefore, augmentation of the production of fishes in the State is urgently required. Availability of fish feeds to the farmers at a subsidized rate will definitely help in achieving the goals. Imparting training and using of new and viable technologies will also help in increasing the fish productions. Some palatable cold stream freshwater fish such as ‘Trout’ can be reared in Ukhrul district and other cold regions of Manipur. The recent effort of the GoM for the development of medicinal and aromatic industries in all the districts of Manipur with the help of the Centre is commendable. 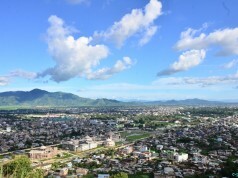 Manipur is within the Himalayan biodiversity hotspot region. Many medicinal, aromatic and economically important plants grow naturally in abundances in the State. The GoM should not restrict the development of oils and aromatics only from lemon grass (Cymbopogon citratus) but should also give importance on various indigenous and endemic medicinal and aromatic plants of Manipur. This sector has lots of potentials; however, it is unorganized. Large numbers of animals and poultry farming are undertaken by many individuals of Manipur. Conversely, the State is yet to see a leather tanning or poultry feather industry. State like Meghalaya has already generated large amounts of revenues from leathers and leather’s products. Poultry feathers are useful in making pillows, cushions, jackets interiors, shuttlecocks, etc. Entrepreneurs should play a key role in this sector. 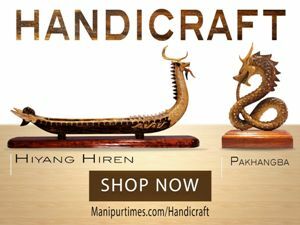 Manipur, since time immemorial is famous for pottery. 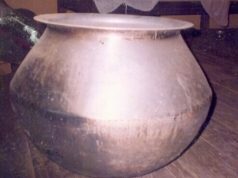 Some of the good-quality pots, made of high iron containing mud are exportable in foreign markets. Though, the history of pottery industry in Manipur is very long, commercialization of the products is extremely poor. Thus, the sector can be further improved by adopting new and innovative technologies available in the market. DCI-Manipur can facilitate the transfers of technologies to the State. The DCI-Manipur identified many industries in different districts of Manipur. Bottling and processing of fruits and juices are in advance stages in the State. However, fruits and juices industries produced large amount of wastes, which is detrimental to the environment. For example, the passion fruit industry at Mao produced huge amount of wastes every year. Similar types of biodegradable wastes can be easily converted into ‘biogas’ using ‘biomethanation’ processes. Large amounts of vegetables and fruits wastes produced from various market complexes in Manipur can also be converted into methane using the same process. Handlooms and handicrafts of Manipur are famous throughout the world. The DCI- Manipur has categorically given interest in this sector. The sector is still unorganized and many craftsmen are surviving hand-to-mouth, which need to be looked after and bring them into a common platform. 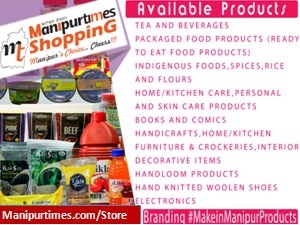 Marketing will play a key role in promoting the handlooms and handicrafts of Manipur. Cultural and medical tourism can be regarded as successes in Manipur. Many of the tourists arriving in Manipur are mainly on these two sectors, along with sports. With PPP model, Shija Hospital, Babina Clinic and other medical institutions in Manipur have started seeing many patients from abroad. Sangai festival attracted good numbers of tourists annually. However, there is still room to develop in these two sectors. Manipur with large numbers of entrepreneurs, who developed varieties of products, are still poor in terms of marketing the goods. Unlike their counterparts, such as Marwaris, Panjabis, Tamilians, Bengalis and others, Manipuris are still lagging behind them. Aggressive marketing is the need of the hours. Using various modes of marketing such as print media, electronic or the Internet, television, radio, mount-to-mouth, etc. many of the products can be marketed throughout the world. 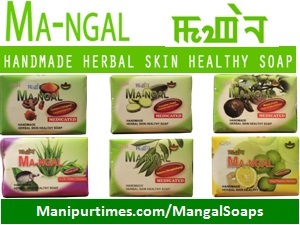 There are some aggressive marketers in Manipur; however, their role to look after the whole state is not feasible. Thus, young and dynamic marketers of Manipur should come forward. 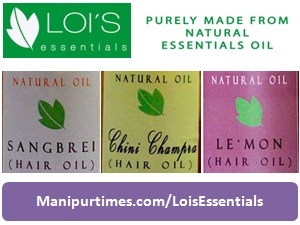 In Manipur, there is not a single ‘testing and analysis laboratory’ to check the quality of the end products. 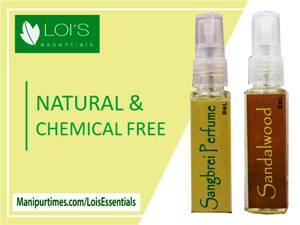 Consumers normally felt that the products from Manipur are inferior in quality; thereby hampering the State’s produced. This also directly affects the industries. 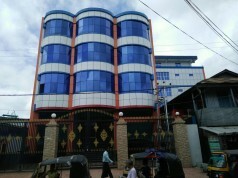 Therefore, quality testing laboratory in Manipur is recommended. On the other hand, ‘pricing’ of the products in Manipur is not standard. The prices of the goods are very important even if the quality of the products is inferior. Competitive pricing is the ‘mantra’ for selling the goods like hot-cake. The good example is the Chinese products. Even though the Chinese goods are inferior in quality, the prices are so competitive making the consumers usually purchased it as “use-and-throw” items. Linkages between the government and private individuals are very poor in Manipur. Many of the farmers do not understand the tedious processes and procedures of the various schemes or projects developed by their respective government. Thus, most of the schemes or projects of the government do not tickle down to the grass root levels. Only few individuals, who are well acquainted with the various government schemes, got the benefits. These tendencies reduced the poor farmer’s confidences towards getting the government schemes. Therefore, institution/s dealing on the linkages of government and farmers at the grass root level will definitely help get the shares to the poor and needy individuals. The linkage will also help the government immensely. 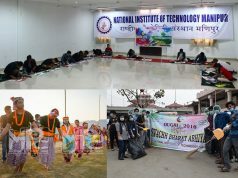 It can be mention here that most of the financial institutions, NRIs and investment organizations are virtually non-existing in Manipur. The lack of proper financial institutions, requiring few documents to disbursed loans to the needy people has made the farmers uninterested in procuring the same. Another problem to the farmers is appropriate land records. Those who do not possess proper land documents are denied loans by the financial institutions as well as the government. Thus, the cumbersome loan procedures diverted the loan seekers from taking the loans, thereby making the farmland less productive. The lackadaisical manner of the financial institutions further demoralized the budding entrepreneurs of the State. Most of the government invested projects are believed to be a failure. Therefore, PPP models should be followed. On the other hand, the numbers of NRIs or Manipuri Diaspora is significantly large. Crores of rupees are remitted into Manipur by the NRI’s every month. However, due to lack of proper organizations and trust deficits of the government, the Diaspora is hesitant to invest in any project. Therefore, tapping the huge investment potentials of NRIs and financial institutions will definitely help the economy of Manipur and a success towards LEP. Empowerment of the youth and encouraging them with various government schemes such as awards, rewards, prices, etc. will definitely bring competitiveness to the State. The entrepreneurs should be empowered and recognized by the government, rather than showing myopic eyes towards them. Failures and successes of businessmen are perceivable; therefore, the government instead of giving penalties to the individual, should adopt different strategies (such as imparting training) of how to achieved successes in their respective businesses. The above prospects and problems are just the tip of the iceberg. 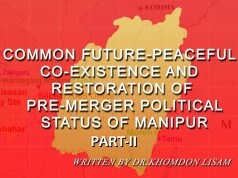 However, the article attempted to bridge the gaps of how Manipur can maximize the economy from Look East Policy. The group also felt that the sustainable economic and social developments of Manipur depend on the direct participation of dynamic and prolific leaders of the various departments, centers, institutes, universities, entrepreneurs, NGOs, individuals, etc. as well as the achievements of the long-term visions of the ‘decisions and law’s makers’ of the State. The above article is the excerpts of various discussions at the Nongpok Thong Hangba, Facebook Group, which is the brainchild of Shri. Oinam Nabakishore Singh, IAS, Principal Secretary, Department of Commerce and Industries, Government of Manipur. 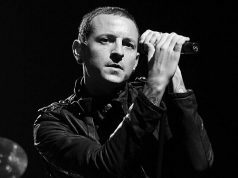 The group sincerely acknowledged his unhesitating and tireless effort. The valuable comments by Boboi Pukhrambam, Dayanidhi Huidrom, Naorem Brajendra Singh, Ibemcha Hemam, Opendro Khwairakpam, and other members within the group are also thankfully acknowledged. Next articleCh Sangeeta devi won the classical vocal solo.